New leaders have been appointed to assist with media, government and community relations at Brown University in Providence, Rhode Island. Formerly at Roger Williams University, Brian Clark will be Brown’s director of news and editorial development, acting as spokesperson in this arena. Albert Dahlberg, named assistant vice president of government and community relations. Clark will be responsible for leading a staff that reports on news about Brown University, including social media promotion and other media engagement that showcases Brown and its activities. This would include news related to scholarships, research, administrative work, university initiatives and campus life. Clark previously held leadership roles with increasing levels of responsibility over a nine-year career at Roger Williams and came to Brown in 2006 as a senior editor and writer. Dahlberg will serve as the primary liaison to the Rhode Island General Assembly, the governor, and other state, regional and local agencies, including the mayor’s office. Dahlberg previously served as Brown’s director of state and community relations. In his new role, he will build on this foundation and use his experience to improve those connections, Russell Carey, Brown's executive vice president for planning and policy, said. 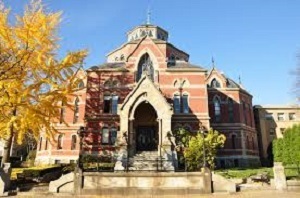 Located in Providence, Rhode Island, Brown University was founded in 1764 and has 8,619 students. Want to get notified whenever we write about Brown University ? Next time we write about Brown University, we'll email you a link to the story. You may edit your settings or unsubscribe at any time.